As the weather turns colder, many people will turn to alternate home heating sources, either because they have no central heating, to supplement central heating, or to keep down their heating fuel costs. Space heaters are a very popular way to do this. Heating equipment is involved in more than 64,000 home structure fires every year, which cause 540 civilian deaths. 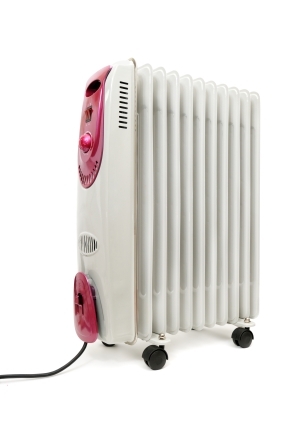 Space heaters, whether stationary or portable, account for three-quarters of these deaths. Keep anything that can burn—paper, bedding, clothing or furniture—at least 3 feet away from the heater. Having combustibles too close to heat source is the leading factor contributing to home heating fires. Keep children away from space heaters, especially when they’re wearing night gowns or other loose clothing that can easily catch fire. With electrical heaters, make sure the circuit isn’t overloaded. Choose an extension cord the same size or larger than the appliance electrical cord. 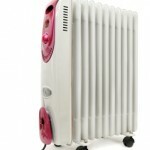 Keep electrical heaters well away from water.